All this week, to celebrate the release of X-Men: Days of Future Past, we’re publishing a serialised interview that we conducted with the wonderful Chris Claremont back in February for publication in a British comic book magazine. Many thanks to Mr. Claremont for taking the time to talk to us, and also to Adam Walsh for allowing us to publish this. It’s hard to talk about Chris Claremont’s X-Men run without discussing his collaboration with fellow comic book superstar John Byrne. 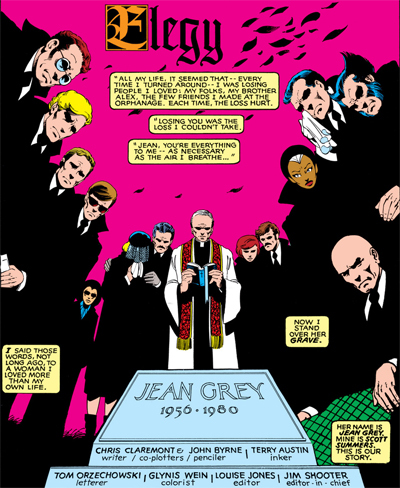 When Uncanny X-Men shifted from a bi-monthly schedule to a monthly schedule, John Byrne took over from Dave Cockrum as artist on the title. Claremont and Byrne are responsible for one of the most celebrated creative runs in mainstream comics. In hindsight, the two seemed well suited. Both were born in the same year, and Byrne had also been born in England. Byrne’s family migrated to Canada when he was only eight years old. He pauses, realising awkwardly that I don’t grasp the reference. “It’s an old weekly adventure magazine published in the U.K.,” he helpfully offers. He pauses to reflect on that old comic strip from long ago. “It was beautiful and surprisingly egalitarian in that it catch the eye of even a non-active believer as myself and present the life of Jesus in terms that were relative and accessible to a young kid across the pond trying to figure out how to get away from the pirates who kidnapped him and get back home and live happily ever after. It covered a lot of exciting bases. The relationship between John Byrne and Chris Claremont was occasionally strained and frustrated. The pair never seemed to quite agree on which way a character or plot should go. 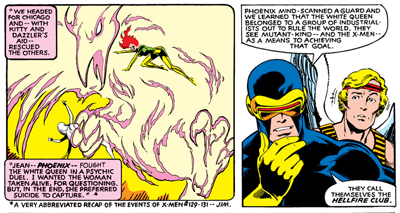 For example, the duo disagreed over long-term plans for Jean Grey at the end of The Dark Phoenix Saga, their big iconic Uncanny X-Men story arc. 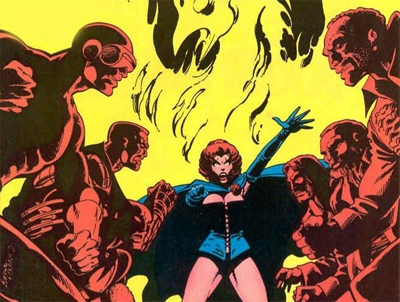 The partnership would end shortly after the publication of The Dark Phoenix Saga, with the duo collaborating on Days of Future Past before going their separate ways. John Byrne left to enjoy an extended (and influential) stint as writer and artist on Fantastic Four; Claremont remained on Uncanny X-Men for over a decade with a selection of A-list artists. 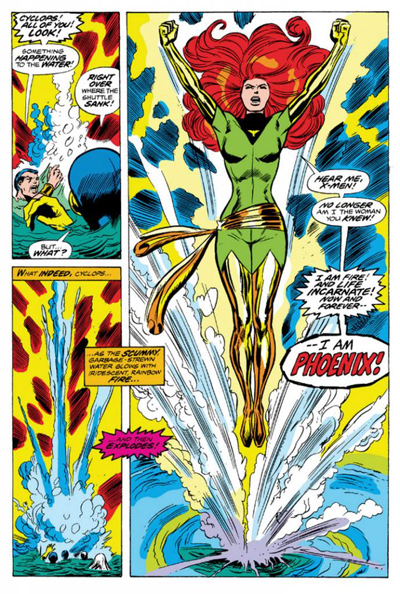 The Dark Phoenix Saga ranks as one of the great comic stories; followed closely by Days of Future Past. 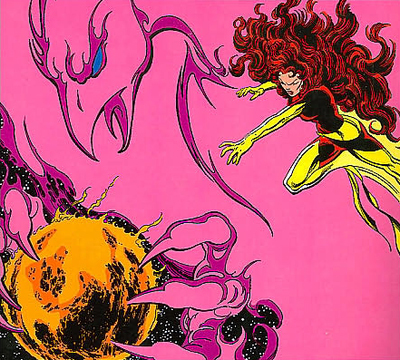 The Dark Phoenix Saga was one of the main inspirations for the third X-Men film. Days of Future Past provides the story for the upcoming Bryan Singer blockbuster. 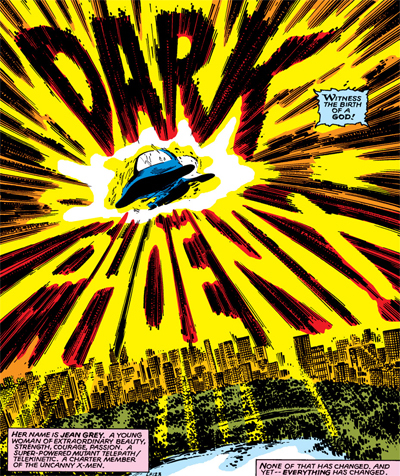 The Dark Phoenix Saga is one of the most influential comics ever published. Alan Moore praised Claremont’s work on Uncanny X-Men in contemporary interviews while he was working on Miracleman for Warrior magazine. The Dark Phoenix Saga is kept in print by Marvel, released in oversized hardcovers and gigantic omnibus collections. Claremont’s work has been reprinted and collected. It has been the subject of issue-by-issue blogging projects and academic scholarship. It’s a far cry from the circumstances in which it was published. “So, Dark Phoenix was exceptional in that the storyline took a year to reach its conclusion. But each element along the way was two issues – one issue or two issues. We didn’t go for three until we reached the end and the third issue was a double issue to bring it to a satisfying, powerful conclusion. “There was none of this ‘we’re going to take five issues and twenty-five crossovers and we’re going to fill the Marvel Universe – or the DC Universe – for six months with all of this excitement!’ and blah blah blah! And then trade paperback it and then hardcover it and then we’ll do the sequel! “The point was – as Archie Goodwin used to say – that if it was a good story, you got on, you did it and you got off and everyone is going ‘holy crap! that was brilliant! what the hell happens next?’ Because you need the ‘what the hell happens next?’ Just saying you’re brilliant and walking away, that’s no good. “You want them to come back, line up in front the shop and then buy the next issue. On the other hand, if you slip on a banana peel and it’s a total %#@!ing disaster, it’s only one issue or two issues – you call it quits and move on. And hopefully by the time of next issue, they’ll have forgotten the F.U.B.A.R. you’ve just committed. 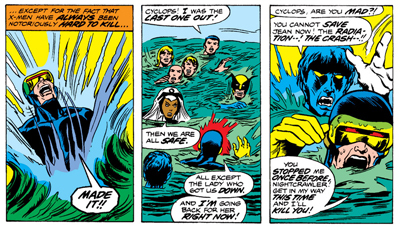 The ending of The Dark Phoenix Saga was a bone of contention. Claremont and Byrne both had their own opinions on how it should end, but both wanted Jean Grey to survive the experience. 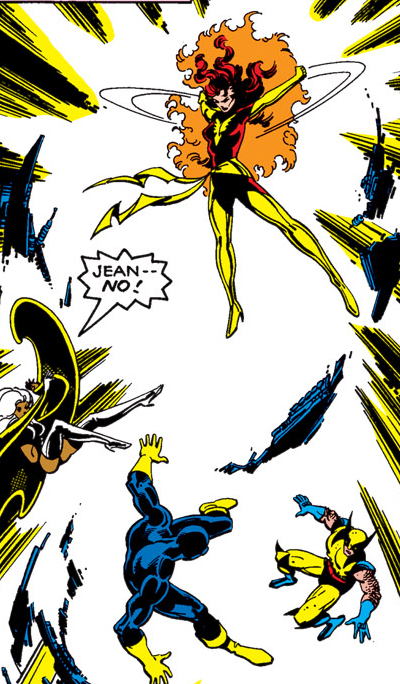 It was editor Jim Shooter who first suggested that Jean might have to die at the climax of the story. Claremont makes it clear that Shooter didn’t meddle in his process – this wasn’t an editorial edict coming down. “He didn’t say that ‘you have to kill her’; that was my call. What Jim said was, ‘She’s just committed global genocide, she has killed six-and-a-half million people. You cannot point the magic zap machine at her, strip her of her Dark Phoenix powers and let her go! C’mon!’ And he’s right. 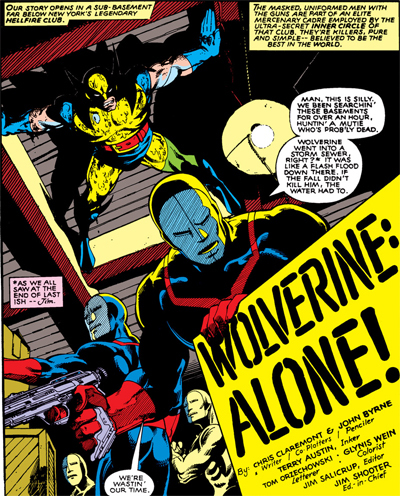 Claremont’s style writing Uncanny X-Men helped turn the book into a hit, but his style is at odds with that of many contemporary comics. 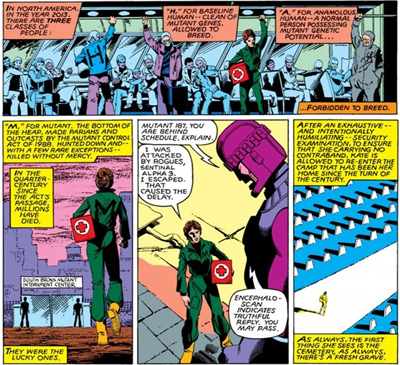 A frequent criticism of Claremont’s work is the writer’s exposition or purple prose – a tendency to introduce each and every character in each and every issue, in a way that occasionally feels disjointed in the era of the trade paperback. “You have to assume that anybody who’s reading the issue has never read a comic or this comic before,” he explains. “I was looking at a current issue doing some research, and I realised half the way through it that I didn’t know who anybody was. Yes, there are all these heads on the first page, but that doesn’t cover the characters who aren’t listed there. “I found out that I didn’t know who was who. I wasn’t sure what they were doing. This is going to sound weird coming from me – the copy was way too heavy and way too hard to follow. I basically put it down and said ‘okay… you’ve lost me.’ That, from my education in the field, is not what you want. Claremont is the writer of the best-selling comic book of all time, 1991’s X-Men #1. However, he was also consistently writing books attracting audiences of almost half-a-million readers. From his point of view, the strategy was obvious. We’ll be back with the third part of the interview tomorrow. Chris Claremont is currently writing a Nightcrawler miniseries for Marvel (comixology link), and Marvel just released a deluxe second omnibus collection of some of his iconic run on Uncanny X-Men (amazon link). The first section of his Uncanny X-Men run is also available as a digital bundle at comixology.